You have a smart phone, you just got out of a meeting and want to get across town. So you pull out your phone and within minutes someone comes to pick you up. What is this being described? 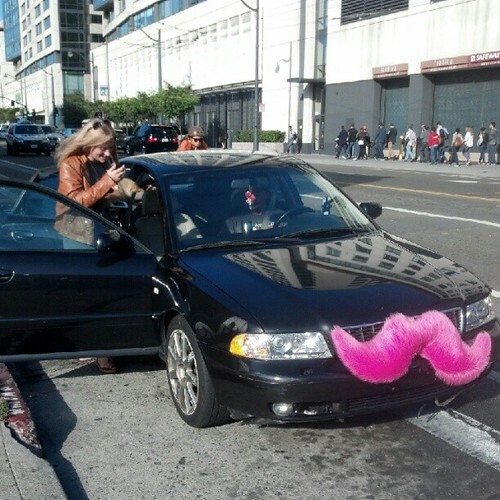 It’s a new breed of carpool apps in action. Sidecar, and Lyft are two – in a growing field of – smartphone applications that let you, the user, “fill your car’s empty seats with new friends or need to get across town in a hurry” as Sidecar puts it. Its modern, real-time, carpooling. Apps like Lyft and Sidecar are one more tool – in addition to transit, taxi, walking, cycling – in the toolbox to help one get around town in a snap without having to drive your own car. For drivers, its a way to offset the costs of driving and reduce the environmental impact of your trips. While Sidecar and Lyft are currently focused in San Francisco, the Contra Costa Transportation Authority (CCTA) is partnering with Sonoma County Transportation Authority (SCTA) and Transportation Authority of Marin (TAM), piloted a similar app called “Real-Time Ridesharing” or RTR. Interested in learning more? Find out what these apps are all about: read about Sidecar here, Lyft here, and RTR here.